Summary: This presentation defines a University of Arkansas program titled Zero Tolerance. The Zero Tolerance concept focuses on reducing the production of Palmer amaranth (pigweed) weed seed that will replenish the soil seedbank. Palmer amaranth has one specific weakness and it is seed longevity, so if we can significantly reduce the number of seed produced each year for a 3-4 year period, the populations of Palmer amaranth in the field can be reduced to a more manageable level. 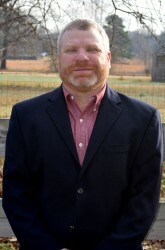 This presentation describes management practices necessary to successfully remove the pigweed plants manually by hand weeding, physically through tillage and weed seed destruction at harvest, culturally through the use of cover crops and chemically by focusing on using multiple effective modes of action to allow no plants to go to seed, thus the ZERO TOLERANCE threshold. These practices don’t only apply to the cultivated field, but focus should also be placed on turnrows, ditches, rights-of-way, equipment and equipment yards. To put it simply, no pigweed should be allowed to go to seed anywhere on the farm or in proximity to the farm. This program will not work if only one farmer does it correctly. This will only be successful if the farming community in a specific area makes the decision to all focus on removing the pigweed before mature seed is produced.